Part of understanding the language of fantasy comes from familiarity with the technology of the time period. Marsha Ward, a writer of westerns who read Tanella's Flight for us, taught us a lot about horses. This includes horses that are ridden and those who pull vehicles. We also learned much about the parts of those vehicles. At the same time, she was amazed at our well-written description of clothing. We knew the names for the various items of clothing, how they fastened, and how to put them on. My familiarity with Elizabethan dress developed while I danced in a renaissance group. When you sew it and wear it, describing it becomes easy. 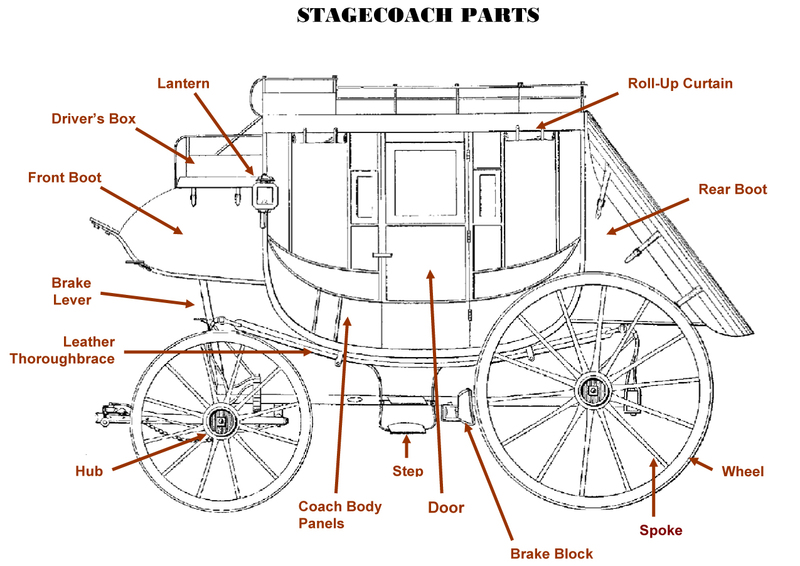 For those not familiar with coaches, I found a labeled photo for your education and amusement. 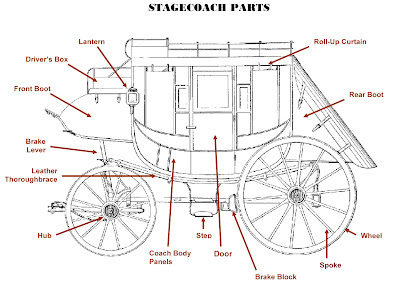 This is an American Old West Stagecoach, but the technology didn't change significantly between the 1400's and 1800's.